This page is dedicated to providing the site visitor with quality Elvis Presley biography Calendar Diary information, pictures and articles for your entertainment. The contents of this Elvis Presley biography Calendar Diary site is written by a fan for his fans. In Tupelo, Mississippi, Gladys Presley gives birth to identicaltwin sons. The first, Jesse Garon, is stillborn. The second, ElvisAaron, is born alive and healthy. Did you know that Elvis Presley`s Star sign is Capricorn? Elvis grows up within a poor family, which moves frequentlyaround the Tupelo area. At ten years old, Elvis sings `Old Shep` in a youth talent contestat the Mississippi-Alabama Fair and Dairy Show, held in Tupelo.The talent show is broadcast over WELO Radio.Click on any photo to seean enlarged view. Elvis plays his guitar and sings `Leaf on a Tree` for his MilamJunior High class in Tupelo. Elvis and his parents move toMemphis, Tennessee. Elvis and his parents live in public housing or low rent homes inthe poor neighborhoods of north Memphis. While attendingThe Christine School and Humes High School, Elvis works at variousjobs to help support himself and his parents. He spendsmuch time on Beale Street and frequents the all-night white,and black, gospel sings that are held downtown. Elvis graduates from Humes High School. After graduation, Elvis works at Parker Machinists Shop. Thatsummer, at The Memphis Recording Service-home of the Sunlabel-he makes a demo acetate of `My Happiness` and`That`s When Your Heartaches Begin` for a cost of about $4.00and gives it to his mother as belated birthday present. Later, heworks at Precision Tool Company, then changes jobs again,going to work for Crown Electric Company where he drives adelivery truck. He attends night school to be an electrician. Elvis makes another demo acetate at Memphis RecordingService: the songs are `Casual Love Affair` and `I`ll Never Standin Your Way`. Sam Phillips, the owner, takes an interest in Elvis. Sam Phillips calls Elvis into the studio to sing `Without You` butfeels the boy doesn`t do a very good job. But Phillips isimpressed enough to team Elvis with local musicians ScottyMoore (guitar) and Bill Black (bass) to see if they, together,could come up with something worthwhile. In frustration, duringa July 5 recording session, Elvis and the group perform aspeeded up version of `That`s All Right`. This song, and the flipside`Blue Moon of Kentucky,` would be the first of five singlesElvis would release on the Sun label. Elvis, Scotty, and Bill startperforming together, with Scotty acting as the group`s manager.Elvis continues to work at Crown Electric as the group startsto play small clubs. Elvis makes an appearance on the Grand OleOpry and is told by one of the officials that he should stick totruck driving. Elvis, Scotty, and Bill continue to record and to travel. Theyappear for the first time on the `Louisiana Hayride`, a liveSaturday night country music radio which is the Grand OleOpry`s chief competitor. This leads to regular appearances onthe `Hayride` and, in November, Elvis signs a one-year contractfor fifty-two Saturday night appearances. During this period,he meets `Colonel` Tom Parker, a promoter and manager connectedwith various acts. Elvis signs a contract with Bob Neal,who becomes his manager. Elvis, Scotty, and Bill continue touring on their own and in packagedtours of artists from the `Hayride` with Colonel Parkerinvolved.Drummer D.J. Fontana joins Elvis`s band. In the spring,Elvis fails to be accepted on `Arthur Godfrey`s Talent Scouts`, anetwork television show. Nevertheless, Elvis gains in popularitimeline.ty and begins to receive national attention, leading Parker tobecome more directly involved in Elvis`s career. Elvis signs a management contract with Hank SnowAttractions, which is owned equally by Snow and ColonelParker — who will be Elvis`s manager from this time on andHank Snow ceases to be involved. Parker negotiates the sale of Elvis`s Sun contract to RCA (includingElvis`s five Sun singles and his unreleased Sun material) for$40,000, with a $5,000 bonus for Elvis. RCA soon re-releases thefive Sun singles on the RCA label. At the same time Elvis signs acontract with Hill and Range Publishing Company, which createsElvis Presley Music, Inc.As of late 1955, Elvis is without doubt the hottest new star inthe music business. Elvis has his first recording session for RCA in their Nashvillestudio. Among the songs is `Heartbreak Hotel`. During thesesessions, the Jordanaires join with Elvis soon begin touringwith him. `Heartbreak Hotel` is released by RCA and sells over 100,000copies a week for the first three weeks, climbs to number oneon Billboard`s pop singles chart for eight weeks, number one onthe country chart, and number five on the R&B; chart. Itbecomes Elvis`s first gold record. Elvis appears on Jackie Gleason`s `Stage Show`, starring Tommyand Jimmy Dorsey on CBS. This is Elvis`s first network televisionappearance. He appears on six weekly `Stage Shows` in a rowwhile continuing the `Louisiana Hayride` appearances. While `Heartbreak Hotel` is still climbing the charts, RCAreleases `Mystery Train` and `I Forgot to Remember to Forget`- the last recording on the Sun label. This release immediatelyhits number one on Billboard`s country singles chart. 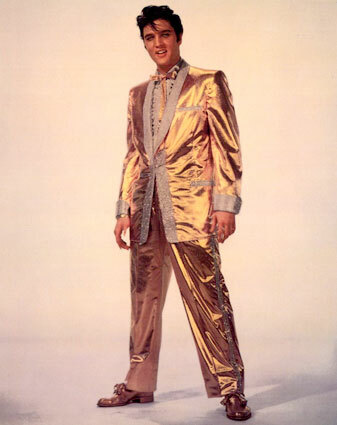 RCA releases Elvis` first album which quickly turned gold. 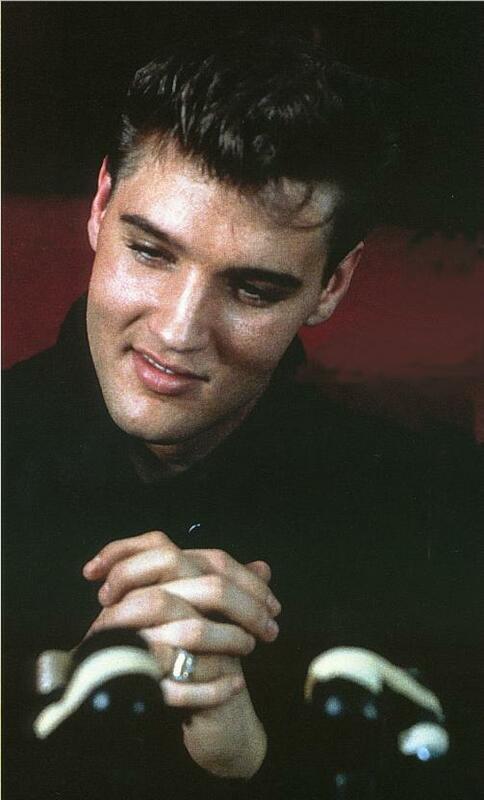 Elvis screen tests at Paramount Studios for a role in `TheRainmaker.` He was not cast in the film. Elvis appears on `The Milton Berle Show`. Hal B. Wallis and Paramount Pictures sign Elvis for a seven-yearcontract. Elvis receives a tepid response from audiences at the FrontierHotel in Las Vegas during a two-week engagement. But hisnumerous public performances and record sales establish himas a sensation. Elvis appears again on `The Milton Berle Show` and performs`Hound Dog.` His onstage movements are condemned by certainfactions of the conservative establishment. Elvis appears on `The Steve Allen Show` on NBC and performs amore conservative version of `Hound Dog` — dressed in whitetie and black tux with tails. The popularity of Elvis forces EdSullivan to change his mind about refusing airtime for thesinger, and signs him to a three-appearance deal. Paramount loans Elvis to Twentieth Century Fox to play a featuredrole in a western called `The Reno Brothers.` It is retitled `Love MeTender` after the song Elvis performs for the soundtrack`s single. Elvis makes the first of his three appearances on Ed Sullivan`s`Toast of the Town Show` and attracts the highest ratings everfor a variety show. `Elvis Presley Day` is proclaimed in Tupelo, Mississippi. Elvis`sparents join him as he returns to the town of his birth as a bigstar. He performs two shows that day at the Mississippi-Alabama Fair and Dairy Show- the same fair at which he hadperformed at age 10. Elvis souvenir merchandising begins tohit the store shelves. By the end of the year, this merchandisewill reach $22 million in sales. Elvis makes his second of three appearances on the Sullivan show. `Love Me Tender` opens on this date and becomes a hit. Elvis makes his third and final appearance on Ed Sullivan`s`Toast of the Town Show.` Although uncensored for his twoprevious performances, during this show Elvis is seen by theviewing audience only from the waist up. Elvis begins production of his second movie, `Loving You`. Elvis buys Graceland Mansion for himself, his parents, and hispaternal grandmother to live in. For the first time, Elvis performs outside the United States: inToronto and Ottawa. Elvis`s second motion picture, `Loving You` opens and reachesthe top ten at the box office. The soundtrack single featuringthe title song and `Teddy Bear` is released. Elvis performs in Vancouver — the last time he would performin concert outside the United States. Elvis returns to Tupelo to perform at a benefit for the proposedElvis Presley Youth Recreation Center -he would donate regularlyto the center for the rest of his life. Elvis`s third motion picture `Jailhouse Rock` premieres inMemphis and opens nationally the following month. For the first time, Elvis visits and performs shows in Hawaii. Elvis receives his draft notice. Elvis films and records the soundtrack album for his fourthmotion picture `King Creole`. In Memphis, Elvis performs his last stage performances untilafter his army release in 1960. His tour of duty takes him out ofthe spotlight for nearly two years — and many music criticsconsider Elvis` induction to be the end of his career. Elvis Presley is inducted into the U.S. Army at the MemphisDraft Board. Elvis gets his G.I. haircut at Fort Chaffee, Arkansas. Private Presley arrives at Fort Hood, Texas for six month`s basictraining. His parents move to a temporary home near the base. After basic training, Elvis has a recording session while on leave. `King Creole`, Elvis`s fourth motion picture opens nationally. Itis regarded generally as his best serious film. Gladys Presley becomes ill and is hospitalized with acutehepatitis. Elvis is granted emergency leave and arrives inMemphis on the afternoon of August 12th. She dies in the earlyhours of August 14 . She was only 46. She is laid to rest at ForestHill Cemetery, a few miles down the road from Graceland. Elvis sails aboard the USS Randall to West Germany, arriving onOctober 1. He will be stationed in Friedberg for 18 months,maintaining an off-base residence in Bad Nauheim. For his 24th birthday, Elvis is interviewed on the telephone byDick Clark on his `American Bandstand` show on ABC-TV. On a two-week leave, Elvis visits Munich and Paris. Despitewhat the critics say, Elvis` career is kept alive by the careful promotionsand record releases of Colonel Parker. Captain Joseph Beaulieu is transferred from Texas toWeisbaden Air Force Base near Friedberg, accompanied by hiswife and children, including his fourteen-and-a-half- year-oldstepdaughter, Priscilla Ann. 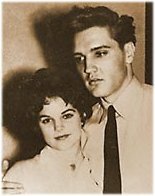 Through a mutual friend, Priscilla isinvited to a party at Elvis`s home. Elvis is promoted to Sergeant. Elvis leaves West Germany on March 1, and is officially dischargedfrom active duty on March 5, 1960. On March 8, heholds a press conference at Graceland. Elvis has his first recording session since being released fromthe service. On March 26 he tapes a special `Welcome Home,Elvis` version of Frank Sinatra`s ABC-TV variety show. Elvis begins filming and recording for his fifth film, appropriatelytitled `GI Blues.` Produced for Paramount by Hal Wallis,Elvis` costar is Juliet Prowse. Vernon Presley marries divorcee and mother of three sons,Davada `Dee` Stanley, an American whom he had met inWest Germany. Elvis records and films for his sixth movie, `Flaming Star`. The soundtrack album for `GI Blues` hits Billboard`s albumchart and climbs to number one where it will stay for tenweeks. Elvis begins recording and filming for his seventh film, `Wild inthe Country` as `GI Blues` opens nationally. `Flaming Star` opens and receives good reviews but notsolid box office returns. It is assumed that because the filmis dramatic and contains little music, Elvis fans did not showup in droves. Elvis first live appearance since his army discharge is at aMemphis luncheon in his honor. `Elvis Presley Day` is proclaimedby Tennessee Governor Buford Ellington. In Hawaii, Elvis performs in a benefit to help fund the buildingof the USS Arizona Memorial. Elvis remains in Hawaii to do location filming for `Blue Hawaii`A project for which he has already recorded the soundtrack. `Wild in the Country` opens to mixed reviews. Elvis begins production on `Follow that Dream` and alsorecords the soundtrack album. This is his ninth motion picture,scheduled to open in late Spring 1962. The soundtrack album for `Blue Hawaii` hits the Billboard chartand remains for 18 months (it will be number one for nearlyhalf a year). The album features the classic Elvis single: `Can`tHelp Falling in Love`. Elvis begins filming `Kid Galahad` and also records the soundtrackalbum. The picture wraps in January of 62. `Blue Hawaii`opens at number two in box office receipts and eventuallybecomes Elvis`s most financially successful film. His single`Good Luck Charm` hits number one on the pop charts. Elvis begins filming his 11th motion picture, `Girls! Girls! Girls!`.It includes location work in Hawaii and Los Angeles. He alsorecords the soundtrack album. `Follow That Dream` opensnationally, reaches number five in box office. Continuing his breakneck schedule, Elvis begins his 12thmotion picture and soundtrack album: `It Happened at theWorld`s Fair,` which utilizes the backdrop of the Seattle World`sFair. Also this summer, `Kid Galahad` opens. Although not ahit, and some critics suggested that Elvis was losing his appeal,receipts are respectable. Priscilla Beaulieu arrives from WestGermany to visit Elvis. A riot breaks out in a Mexico screening of `GI Blues` resulting ina ban on Elvis movies in that country. While `Kid Galahad` was only a so-so success, `Girls! Girls!Girls!` opens this month and eventually equals `Blue Hawaii` inbox office receipts. The soundtrack album features the hit single`Return to Sender`. 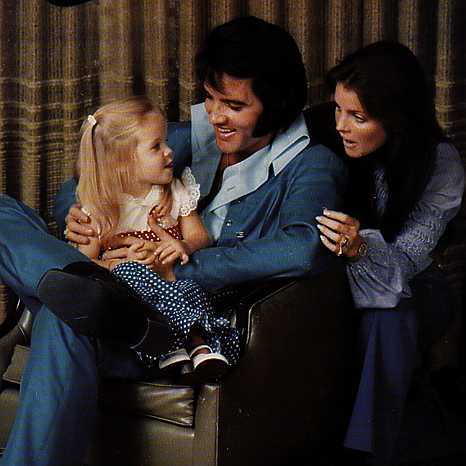 Priscilla Beaulieu`s parents give permission for her to visit Elvisduring the Christmas holidays. Priscilla moves in at Graceland and finishes her senior year ofhigh school in Memphis. Elvis begins filming and recording thesoundtrack for his 13th motion picture: `Fun in Acapulco`. `It Happened at the World`s Fair` opens to respectable boxoffice receipts ` the soundtrack album does better, reachingnumber five on the charts. This month Elvis begins recording the soundtrack and filmingthe location work for `Viva Las Vegas,` featuring a hot newfemale star: Ann-Margaret. Although this is his 14th motionpicture, it would not be released until after his next film. During this month, Elvis begins recording the soundtrack andfilming his 15th motion picture: `Kissin` Cousins`. `Fun in Acapulco` opens late this month and performs much better at the box office than `World`s Fair,` eventually reaching number five. The album also reaches number five on the pop chart. A pivotal season in Elvis`s (and the nation`s) musical world: the Beatles make their first appearance on the `Ed Sullivan Show`. Elvis fears his career has become stagnant. Also during this winter, Elvis buys the yacht of President Franklin Roosevelt: the `Potomac.` In February, he gives the yacht to Danny Thomas as a gift to St. Jude Children`s Research Hospital in Memphis for them to use to raise funds as they see fit. Elvis begins recording the soundtrack for his 17th film, `Girl Happy,` as `Viva Las Vegas` opens nationally. Receipts for this picture are far better, and the soundtrack album does as well. Elvis films `Girl Happy` on location in Florida. In a cost-cutting move, Paramount creates a motion picture project (Elvis`s 18th) based around songs the star had already recorded. Entitled `Tickle Me`, the project has failure written all over it. Despite bad feelings about this film, Elvis jumps into an even busier production schedule. This month `Roustabout` opens to solid box office receipts, eventually hitting number eight. The soundtrack features some of the best music Elvis has done to date ` and fans respond by making it a number one hit on Billboard`s pop album chart. In this month, `Tickle Me` opens nationally to ho-hum box office, and Elvis donates $50,000 to the Motion Picture Relief Fund. Elvis quickly records the soundtrack music for his 21st motion picture, `Paradise, Hawaiian Style`, and then leaves for location shooting in Hawaii. He then returns to Los Angeles to complete interior shooting on the film. The Beatles visit with Elvis for several hours at his home in California and have an informal jam session. `Harum Scarum` opens nationally and does only respectable business at the box office. The soundtrack reaches number eight before it quickly disappears. For his 22nd motion picture, Elvis records the soundtrack music and films `Spinout`. After delays by the studio,`Frankie and Johnny` opens to lackluster box office and record sales. Undaunted, Elvis records the soundtrack album and begins shooting his 23rd motion picture: `Double Trouble` and then proceeds directly to recording and filming his 24th picture: `Easy Come, Easy Go`. This month, a favorite time for the studio to open Elvis films, `Spinout` is released and performs poorly, both at the box office and in album sales. 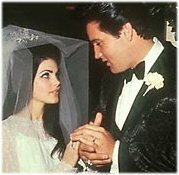 On a date this month that is still debated, Elvis formally ` and officially ` proposes marriage to Priscilla. Elvis buys a ranch in Mississippi, a short distance across the Tennessee state line from Graceland. Called the Circle G, the ranch was bought expressly to take care of the horse he purchases for Priscilla, and the other horses he and his friends buy as they all become enamored of horseback riding. The film `Easy Come, Easy Go` opens and flounders. This disappointment is offset by the release of Elvis`s second gospel album, `How Great Thou Art`. The album gets excellent reviews, healthy sales, and earns Elvis his first Grammy Award, ironically enough, for Best Sacred Performance. Elvis begins the soundtrack recording and location filming for his 25th motion picture: `Clambake`. `Double Trouble` opens and flounders. On May 1, 1967 (at 9:30am) Elvis and Priscilla are married at the Aladdin Hotel in LasVegas, followed by a honeymoon in Palm Springs. On May29th, they hold a second reception at Graceland for friends andfamily unable to be at the Las Vegas ceremony. Despite poor performance of his films at the box office, and hisown personal doubts about the projects he is starring in, Elvisrecords the soundtrack and begins filming his 26th movie, costarringwith Nancy Sinatra in `Speedway`. News of Priscilla`spregnancy is released. Elvis immediately begins work on his 26th film, a project hefeels more confidence in. He records and does location filmingfor `Stay Away, Joe`. In this comedy-western, Elvis plays a halfbreedNative American, surrounded by veteran character actorswho help raise the performance levels in the picture. Hoping for better holiday box office, `Clambake` is releasedand does only respectable business as both a film and soundtrackalbum. Priscilla gives birth to Lisa Marie Presley.MARCH 1968`Stay Away, Joe` opens but receives mixed reviews and performspoorly at the box office. In an effort to find more suitableprojects for Elvis, the studio has him begin work on his 28th film,an adult comedy-drama called `Live a Little, Love a Little`. Description of keyword site contents: This site contains Elvis Presley biography information, history on Elvis Presley biography life story, Elvis Presley biography pictures and photos, Elvis Presley biography song lyrics, Elvis Presley movie resources, free e-books and articles listed for your convenient search in subjects of: Elvis Presley biography pictures and photos, Elvis Presley biography song lyrics, Elvis Presley biography movie resources, Elvis Presley biography childhood, Elvis Presley biography Band members biography, Elvis Presley biography girlfriends, Elvis Presley biography spiritual medium stories, Elvis Presley biography Memphis mafia stories, Elvis Presley biography diary quotes, Elvis Presley biography movie and music details in relation to the Elvis Presley autobiography and interviews of friends and family members for the Elvis Presley biography website written by a fan for his fans. Elvis rehearses for the taping of his 1968 television special `his first performance before a live audience since March 1961.This production has been called the 68 Comeback Special. Theshow features original songs, classic Elvis tunes, dance numbers,and special segments of Elvis performing in the round andin front of a live audience with guitarist Scotty Moore anddrummer D.J. Fontana. The show is scheduled to air onDecember 3rd. The studio tries something different, once again, for Elvis`s29th movie. Entitled `Charro` the dramatic western features anElvis who doesn`t sing (except the opening song) and whowears a beard. Elvis immediately begins work on his 30th film, recording thesoundtrack and acting in `TheTrouble with Girls`.`Live a Little, Love a Little` opens to poorreceipts. But the single, `If I Can Dream`, from the comebackspecial reaches number 12 on the pop singles chart. The 1968 television special airs on the NBC network this evening.It is not only a ratings winner, but a critical success and with asoundtrack album that reaches number eight on the pop charts. Elvis completes his shooting on `The Trouble with Girls`. Elvis throws himself into all-night recording sessions atAmerican Sound Studios in Memphis ` his first recording workin Memphis since 1955. These sessions produce what is consideredsome of his finest work, and produce two albums with hitsingles like `In the Ghetto`, `Suspicious Minds`, `Don`t Cry,Daddy` and `Kentucky Rain`. Elvis returns to Hollywood to film and record the soundtrackmusic for his 31st and last dramatic film: `Change of Habit`.Elvis plays a doctor serving the poor in a Northern city, assistingby three nuns, one of whom is Mary Tyler Moore. `Charro!` opens fizzles at the box office. The newly built International Hotel in Las Vegas featured thelargest showroom on the strip and they wanted a big star toheadline after Barbra Streisand closed. They booked Elvis for afour-week engagement which ends up breaking the city`sattendance records. It is so successful, RCA jumps at the chanceof recording Elvis`s first live concert album. The studio holds its breath, releases `The Trouble with Girls`and then watches as the money fails to roll in. `Change of Habit` opens. Ditto. The rumor that Elvis has lost hisaudience start circulating. 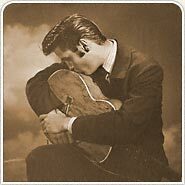 Talk of Elvis`s loss of popularity are silenced by the king himself. He decides to return to the International Hotel duringthe slowest part of the season, where he promptly breakshis own attendance records and records another live concertalbum. In February, Elvis performs six shows at the HoustonAstrodome (as part of the Texas Livestock Show). He attractsover 200,000 people. Elvis has recording sessions in Nashville and then, on August 10through September 7, performs at the International Hotel inLas Vegas. MGM ` at this point still in the motion picture business` films the performances as part of a documentary film:`Elvis -That`s the Way It Is.` The film also features backstagefootage, as well as rehearsals and recording sessions. There isan album released by the same title. Rumors that Elvis might actually tour again become true, as heconducts a nine city tour of the show he has perfected during theVegas runs. He returns to Nashville for another recording session. Ironically, it is the documentary film `That`s the Way It Is`(which opens this month) which receives the best reviews andbox office response of any of Elvis`s most recent dramatic films.Inspired by his recent successes, Elvis goes out on a highly successfuleight-city concert tour. This month, Richard Nixon receives Elvis at the White House. The United States Junior Chamber of Commerce names Elvis`One of the Ten Outstanding Young Men of the Nation` andpresents him with the award tonight. 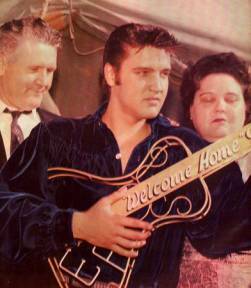 Elvis returns again to the International Hotel in Las Vegas for afour week engagement, quickly followed by another recordingsession in Nashville. 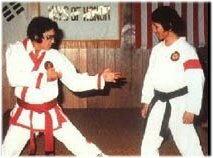 However, Elvis cancels this session becauseof pain in his eye. He goes to the local hospital and discoversthat he suffers from secondary glaucoma which will cause himproblems from now on. Promoting the first serious biography of Elvis, Look Magazinefeatures the `king of rock and roll` on their cover. Elvis returnsto the studio to record his album `Elvis Sings the WonderfulWorld of Christmas`. For the first time, the small house where Elvis was born opensto the public for tours, but Elvis is busy in the studio preparinga new gospel album. Meanwhile, the portion of Highway 51South which runs by Graceland is officially renamed ElvisPresley Boulevard. Next, Elvis plays a two-week engagementat the Sahara Hotel in Lake Tahoe, Nevada followed in Augustwith a wildly successful concert series at the InternationalHotel in Las Vegas ` now called the Las Vegas HiltonInternational Hotel. During this series, Elvis is presented withthe Bing Crosby Award from the National Academy ofRecording Arts and Sciences ` later to be called the LifetimeAchievement Award. The new book `Elvis : A Biography` by Jerry Hopkins is released. Elvis embarks on a concert tour to 12 cities in the U.S.
To the shock of his fans, Elvis and Priscilla separate. She movesout on her own with Lisa Marie.And the first of the new Elvis Presley Boulevard signs go up. Elvis returns to the Hilton in Las Vegas for another highly successfulfour-week run. Inspired by the financial success of `That`s the Way It Is,`MGM plans another documentary entitled `Elvis on Tour.`The company films Elvis in the studio and accompanies himon a concert tour of 15 cities. The gospel album `He TouchedMe` is released in April to favorable reviews, and wins Elvishis second Grammy Award. Elvis continues his tour ` with a special four-show stop atMadison Square Garden in New York City. All four shows aresold out. Smelling money, RCA records the first Madison SquareGarden performance and, in just over a week, has the album inthe record stores. The separation of Elvis and Priscilla becomes formal this month.Elvis is now seen in the company of Linda Thompson. Elvis returns to the Hilton in Las Vegas. Elvis announces at a Las Vegas press conference that he is planningfor a live television concert which will be broadcast worldwidefrom Hawaii. The record `Burning Love` marks the return of Elvis to the popsingles chart. MGM`s `Elvis on Tour` opens (of course) in November and winsbig with critics and audiences. The producers receive theGolden Globe Award for Best Documentary. While the movieabout touring opens, Elvis embarks on a seven-city concert tourof his own. `Elvis: Aloha from Hawaii — Via Satellite` airs on NBC, and makestelevision history. But American viewers won`t see it live. Theywill have to wait until April for a taped version. The recordalbum is quickly released, reaches number one on the BillboardPop Album Chart, and remains on the chart for a year. Not stopping to catch his breath, Elvis returns to his favoritevenue: the Las Vegas Hilton. In a surprising move, Elvis and Colonel Parker sell to RCA thesinger`s royalty rights on Elvis`s entire recording catalog up tothat point. The `Aloha` special is seen on American television for the firsttime. It is estimated that a total of one billion people see thespecial. Once again, Elvis hits the road on an eight-city concert tour,ending with an engagement at the Sahara Hotel in Lake Tahoe. (In May, the `Aloha from Hawaii` concert album hits numberone on the Billboard pop album chart.) By the end of June, Elvisis on tour again, returning for a recording session in Memphis.He ends the summer with a four-week engagement at theVegas Hilton. Today Elvis and Priscilla have their day in court and they aregranted a divorce. In Memphis, Elvis is hospitalized for a wide range of healthproblems. He has pneumonia, pleurisy, an enlarged colon, andhepatitis. Remaining in Memphis, Elvis goes into the studio for a week ofrecording sessions and then rests up for another concertengagement. Elvis return to the Vegas Hilton. Despite his health problems, and a growing dependency onprescription drugs, Elvis embarks on another ambitious tourschedule. Included in the schedule is a concert in Memphis, hisfirst in over 12 years. He is forced to do four shows just to meetthe demand for tickets. The Memphis concerts result in anotherlive album. Elvis decides to rest up from his schedule and essentially takesthe entire month off. Although he stops for a two week breather in July, most of thesummer is spent touring and performing at the Las VegasHilton. It is while he is at the Hilton, that Elvis is approached byBarbra Streisand with idea of playing opposite her in theremake of `A Star is Born`. Elvis is out on tour for most of September, and performs at theSahara in Lake Tahoe for four days. Once again, Elvis is hospitalized for the same series of healthproblems. Elvis`s live recording of `How Great Thou Art` receives theGrammy for Best InspirationalPerformance. After four weeks of shows at the Hilton, Elvisembarks on an extensive four month series of concert toursinterrupted by brief stops for rest at Graceland. Elvis opens in Vegas with plans for an extended run, but leaveson August 20 for Memphis where he is hospitalized untilSeptember 5. In a gesture to make up for the shows canceled because of illness,Elvis returns to the Hilton in Vegas. Later, on New Year`sEve, he performs in Pontiac, Michigan. Elvis has a week of recording sessions in his den at Graceland,with RCA bringing in mobile recording equipment. This entire time is taken up by tour engagements. Although the pace is hectic, it is carefully planned out with periodic stops in Graceland to rest up. Elvis holds recording sessions in his den at Graceland. Elvis and Linda Thompson split up ` Elvis meets Ginger Alden who will be his companion until his death. 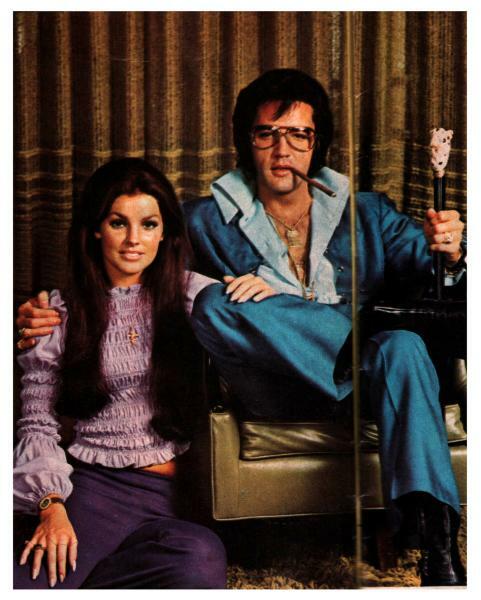 Elvis goes out on tours once again, including a ten-day stint at the Las Vegas Hilton. It will be the last time he performs at the famous casino-hotel. He ends the month with a special New Year`s Eve concert in Pittsburgh, Pennsylvania. He continues touring throughout these two months. He is scheduled to perform, with only brief rest stops, until late June. Elvis is hospitalized in Memphis and then returns to Graceland for rest. Elvis is back on the road once again. RCA and CBS television decide to create a simultaneous television special / concert album for his tour shows scheduled June 19 — 21 to be called `Elvis in Concert.` The camera, however, is not kind to Elvis and his fans are able to see on television what they could not easily see during a concert: just how poor his health really was. Elvis performs in at Indianapolis` Market Square Arena on June 26 and then returns to Graceland to plan the next series of concerts. Elvis is up early and spends most of the morning attending to tour details: he plans to fly out of Memphis that night for Portland, Maine so that he can rest up for a performance the night of the 17th. At 7:00 am, Elvis decides to lay down in the master bedroom. He is found dead a short time later.